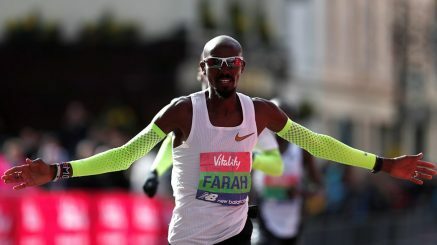 10th March 2019 – Sir Mo Farah (GBR) received a very warm welcome from his home crowd if not the weather on the streets of London as he defended his Big Half title. In cool and very windy conditions Mo was tested as he had his last run our before he tackles the London Marathon next month. There was a small scare for his fans around the 3-mile mark as he did drop off the lead group for a while but he was able to gather himself and regain contact by half way. As the race progressed former London Marathon winner Daniel Wanjiru threw in some surges to try and break away, but Mo covered these and entering the final 200m he was able to sprint to victory in 61:15, one second ahead of training partner and good friend Bashir Adbi who was in turn one second ahead of Wanjiru. Although running alone for much of the race, Chris Thompson (GBR) judged his effort well and wound up fifth in 63:41. In the women’s race Steph Twell (GBR) was rewarded for her positive approach with a new PB of 71:06. This earned her second place as she continues her progression at the longer distances. After working her way back from injury Jordan Hasay (USA) made a very welcome return to racing at the RomeOstia Half Marathon. Continuing her preparations for the Boston Marathon next month Jordan finished sixth in 71:06.